The Virginia Energy Efficiency Council is seeking a proactive, detail oriented multi-tasker for a six-to-nine month Communications Assistant opportunity. The assistant will work directly with staff to support the organization’s communication and marketing needs, primarily via the creation of email campaigns, blog posts, e-newsletters, and social media content. The VAEEC believes in customizing the position based on the assistant’s interest, skills, and experience. 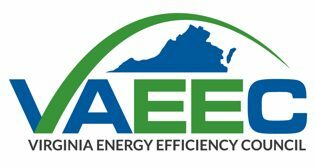 Virginia Energy Efficiency Council, or VAEEC is the voice of the energy efficiency industry in the Commonwealth. Founded in 2012, we are a 501c3 organization, headquartered in Richmond, that provides a platform for stakeholder engagement while assessing and supporting programs and policies that advance energy efficiency in Virginia. We engage our members to identify barriers to and opportunities for energy efficiency advancement, and to develop a strong, fact-based, and balanced industry voice before local, state, and national policymakers and regulators. Our diverse group of over 100 members includes Fortune 500 companies, nonprofits, local governments, state agencies, and more. The VAEEC’s goal is to ensure that energy efficiency is recognized as an integral part of Virginia’s economy and clean energy future. The Communications Assistant will work with the Administrative Assistant and Outreach Director to primarily support the organization’s communication and marketing needs. Other tasks may include assisting with research and writing projects, implementing campaigns, assisting with event preparations, managing our social media and website, and providing general support to the rest of the team. This is a part-time position with flexible hours. However, the Assistant will need to be available for three special events during their tenure with VAEEC – one in May, one in September, and one in November. No additional overtime is expected. Create monthly e-newsletters and other emails in Constant Contact. This includes assembling content, writing copy, and formatting layout. Maintain our social media calendar using Hootsuite and/or other social media scheduling tools. This involves regularly checking our RSS feeds, Google alerts, member newsletters, and other industry sources for appropriate content to share, as well as creating original copy based on VAEEC events and news, and scheduling all posts according to social media best practices. Analyze and develop current social media strategy alongside the Administrative Assistant, as well as gather weekly analytics data from Facebook, Twitter, and LinkedIn. Help recognize trends and areas of improvement. Collaborate with Administrative Assistant to analyze industry articles and reports to develop blog posts offering our organization’s spin on the information. Maintain VAEEC website alongside Outreach Director to keep formatting consistent with our brand and our content fresh. This will include adding member logos, blog posts, and news items, as well as other maintenance based on experience. Design graphics, signs, and other marketing and event materials for upcoming events. The Communications Assistant will be expected to work out of the VAEEC office, located at 409 East Main Street, which is a co-working space in downtown Richmond. The work space is open, so the assistant must be able to successfully work among other people with frequent distractions. Street parking is available but not reimbursed, so we encourage staff to take public transit if possible. Non-profit compensation is commensurate with experience in the field. 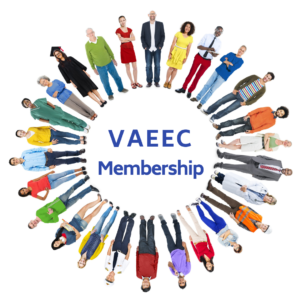 The VAEEC will also reimburse pre-approved expenses associated with the assistantship, such as travel. Please send a resume, cover letter, and one page explanation of what energy efficiency means to you to info@vaeec.org.